You are at:Home»Entertainment»Celeb Talk»Sara Ali Khan Heartbroken! 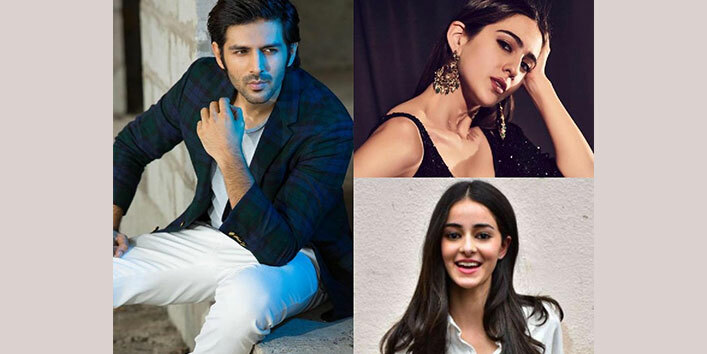 Is Kartik Aaryan Really Dating Ananya Pandey? These days Kartik Aaryan is the most celebrated mainstream actor after delivering some great performances on screen. Not only this he has been hogging the limelight for his alleged affair with Ananya Pandey. 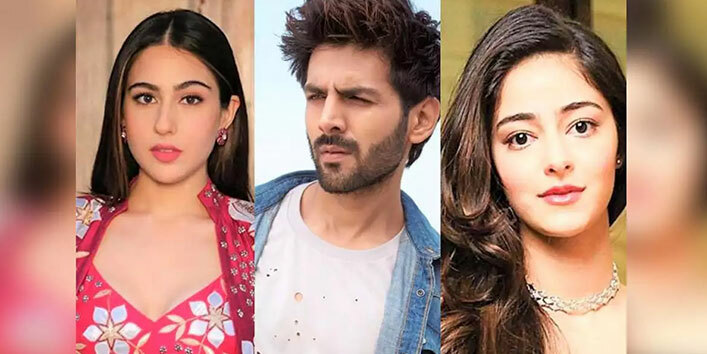 There has also been linking up of Sara Ali Khan with the Sony Ke Titu Ki Sweety actor when she made it officially known that she would like to date the actor. Kartik, however, has chosen to remain mum on this and he keeps the mystery going. Now the whole saga took another turn when a Twitter user asked Kartik who among Sara and Ananya is his favorite. The actor left a mysterious reply saying “ Who ever considers me as her favorite”. Time and again he has deflected comments with reference to his relationship with Ananya. He dismissed any link ups with Ananya after being caught together on many lunch and dinner dates. He said that he wants to shoot for the film with Ananya. 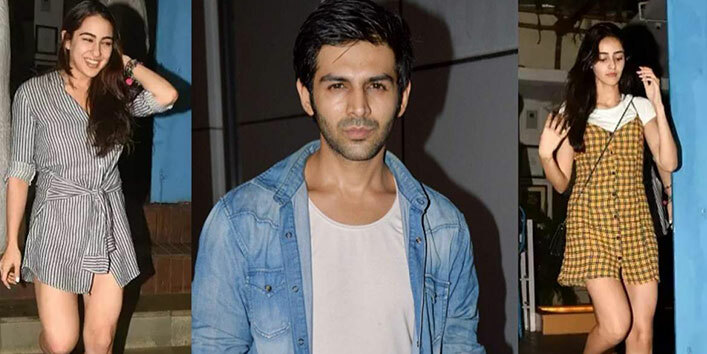 Just when these speculations began to settle, Sara Ali Khan committed a new faux paas to set tongues wagging when she made it known on KWK that she has feelings for Kartik Aaryan and would like to date him. She said this in response to the question asked by Karan Johar as to which Bollywood actor would she like to go on a date with. Her Simmba co-star Ranveer Singh added fuel to the fire when he played the Cupid between Kartik and Sara, got them to hold each others’ hands at an awards function and made them sit together. Ranveer played some antics with them for some time after which Kartik hugged Sara and left. The rumours will continue to float as there are projects planned for both Ananya and Sara. Ananya and Kartik will be seen together in Pati, Patni aur Woh, along with Bhumi Pednekar. Also, there is news that Kartik and Sara have been roped in by Imtiaz Ali for his Love Aj Kal Sequel. Kartik will be seen next opposite Kriti Sanon in the romantic comedy “Lukka Chuppi” which will hot the silver screens in March. Ananya is busy with her debut movie Student of the Year 2 while Sara is basking in the success of her two blockbuster hits Kedarnath and Simmba.